Take-Two Interactive is continuing its controversial ways with the release of All-Pro Football 2K8, complete with O.J. Simpson and a knife-wielding maniac. The game features 240 of the best players from throughout professional football's history, including such luminaries as Joe Montana, Walter Payton and of course Simpson, but due to licensing issues does not include actual NFL teams. A promotional trailer available on GameTrailers.com features Simpson, playing for a team called "The Assassins," slashing his way through opposing defenders to score a touchdown. The team's mascot, a cloaked knife-wielding figure that looms over the end zone, reacts to the touchdown by making stabbing motions in the air. Take-Two would not confirm whether Simpson approved the use of a slasher-mascot in the game, saying only that the mascot is "not specifically associated with O.J. Simpson, and the game does not promote any such connection." Sources estimate that Simpson could have been paid anywhere from $50,000 to $125,000 for use of his likeness in the game. David Cook, lawyer for Fred Goldman, declined to comment except to say, "This whole thing is just beyond any comment and shouldn't come as a surprise to anyone. As to whether Mr. Simpson is entitled to participate in any revenue stream based on the video and other rights, this matter is being studied." Goldman's son, Ron Goldman, was murdered in 1994 along with Simpson's ex-wife, Nicole Brown. Simpson was found not guilty of the murders in a criminal trial, but was held responsible for their deaths in a civil suit that followed and was ordered to pay $33 million in restitution. 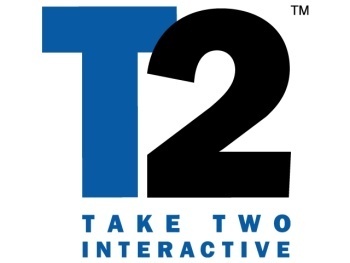 Take-Two Games has become known for its willingness to embrace controversial titles, publishing games such as Grand Theft Auto, Bully and Manhunt. Recently, its unreleased Manhunt 2 title has come under fire for excessively violent content, received an AO rating from the ESRB and being banned in the U.K. and Ireland.